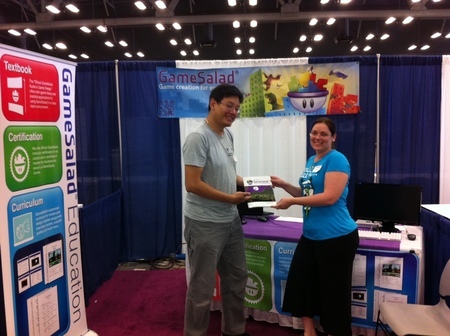 This week, the GameSalad team joins more than 2,000 leaders and visionaries in business, education and government at the Austin Convention Center to participate in the 2013 STEM Solutions Conference sponsored by US News & World Reports (read more at usnewsstemsolutions.com). The purpose of the Conference is to help advance the agenda for STEM education, policy and workforce development. STEM (which stands for science, technology, engineering and math) education is designed to provide students with exposure to scientific careers and at the same time give them the skills necessary to obtain jobs requiring technical or engineering capability. GameSalad is pleased to bring game and app development to the 2013 STEM Solutions Conference. GameSalad’s turn-key approach to game design education helps teachers integrate GameSalad into the classroom quickly and easily (read more at gamesalad.com/education).